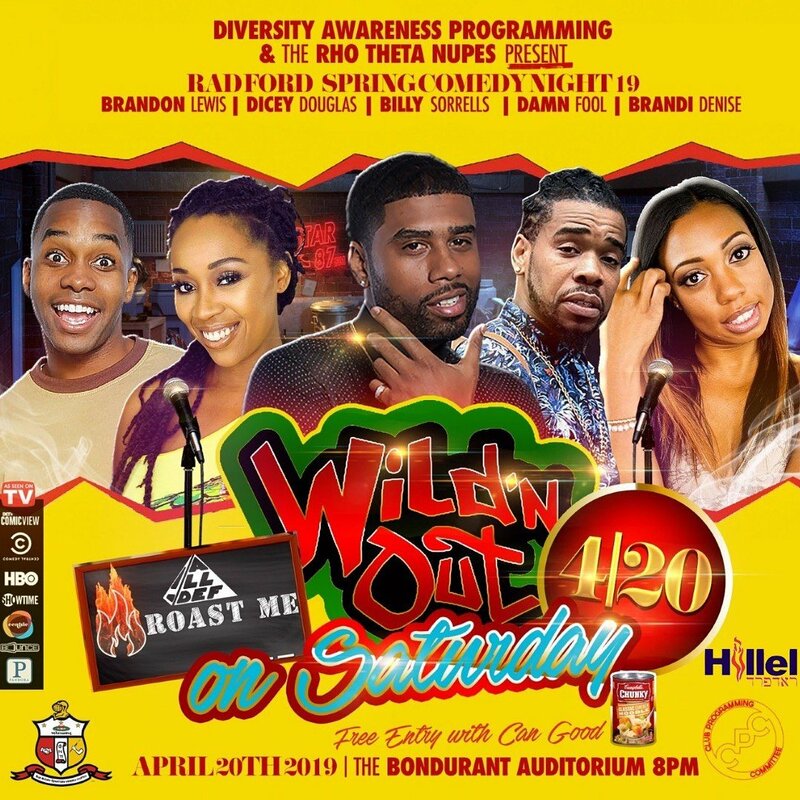 The Diversity Awareness Programming Board at Radford University and The Rho Theta Nupes presents Radford Spring Comedy Night on Saturday, April 20, 2019 in Boundrant Auditorium inside Preston Hall on the campus of Radford University. The Radford Spring Comedy Night stars comedians who've appeared on both Nick Cannon's Wild 'N Out and All Def Roast Me. The night features comedians Brandon Lewis, Dicey Douglas, Billy Sorrells, Kevin "Damn Fool" Simpson and Brandi Denise. 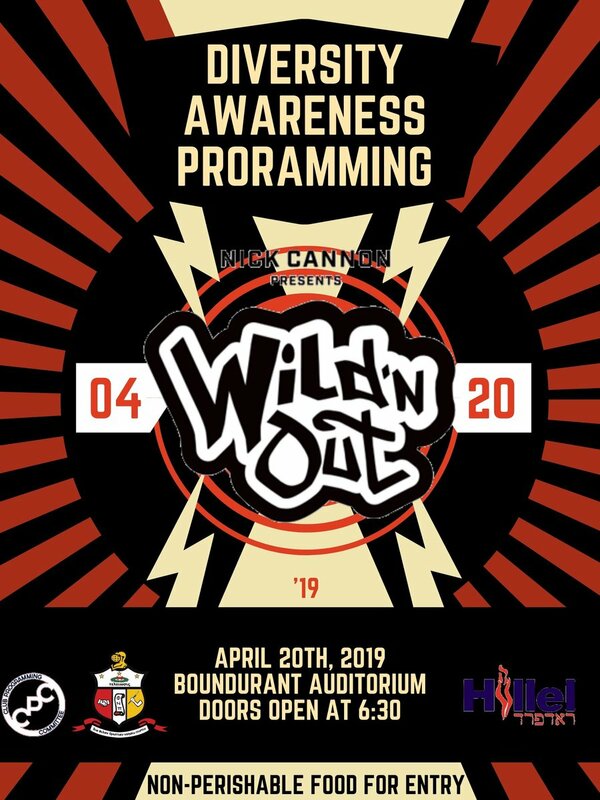 MTV's groundbreaking Wild 'N Out features lightning fast comedic improv, head-to-head battling and of course, the master of ceremonies Nick Cannon. The original bloodline of Wild 'N Out was undeniable, ushering the rise of comedic superstars who have since become household names from Kevin Hart to JB Smoove to Katt Williams. And now a legion of young, hungry, new comedic stars have their chance to rise up. Wild 'N Out brings visceral, cutting and hip-hop edged comedy. Entry is a donation of non-perishable food items and all are welcome. Doors open at 6:30 pm. The show starts at 8:00 pm. To view the event flyer, visit: https://i.imgur.com/mUl3Rh4.jpg or https://i.imgur.com/oP0rLH5.jpg. For more information, visit: https://twitter.com/RU_DAP/status/1116817643116351488 or https://www.instagram.com/p/BwSnMWMnffB/.